The forex market isn’t like any other financial market as it does not have a physical place to conduct trades. Aside from that, the forex market almost never sleeps, trading 24-hours a day, 5 days a week. This means prices change at a constant pace thus giving traders more opportunities to trade. In this article, we’ll learn to trade forex while understanding why is it vital that you get the proper education before starting to invest. With each passing day, forex investors grow in number. New traders do not not even bother to properly learn to trade. They are not aware of the importance of knowing how the market operates before carrying out transactions and jeopardizing their money. You should not make this mistake. It vital that you learn to trade forex in the most thorough way possible. To optimize your investments, you ought to do plenty of reading and become familiar with useful techniques you will need when navigating through the different trading arenas. Remember, the market is constantly changing and you will constantly have to adapt to stay with your head above the water. In the forex market, currencies are traded in pairs. With around 65 currency pairs to choose from, it's vital to invest in a pair that you’re most comfortable with. It is advisable to learn to trade your initial currency pair before you switch to other pairs. The best you can do is choose your local currency because you are more familiar with your country’s economic and political climate. This climate strongly affects the value of a currency. You should BUY whenever you think that the base currency will go up against the counter currency while you should SELL if you think that the base currency will go down against the quote currency. You can place orders which allow you to automatically trade in the future if prices reach a level you had specified. There are two orders you can place, stop loss and limit orders. It is best that you remember them as they can help you lower risk. A stop loss order is used to close a trade when the price is going below the market level and, thus, minimizes losses. A limit order is used to close a trade at prices that are above the market level and is often used to lock in price targets. 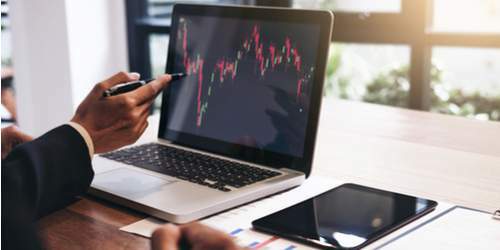 Using these orders may be confusing at first but after you learn to trade properly, you will find these orders to be invaluable to any strategy you may adopt.